The fitness center is approximately 11,500 sq. feet and houses resistance training and cardiovascular equipment from leading manufacturers such as Star Trac, Life Fitness, and Pro Maxima. Equipment includes treadmills, stationary bikes, ergs and steppers for different cardio exercises. The center also has a large variety of dumbbells, barbells, weighted plates, benches and equipment for many types of free weight lifting. 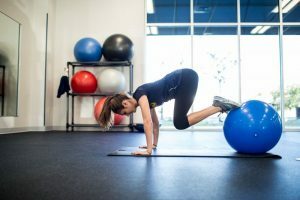 In addition to the machines and free weights, the fitness center has a large, open synergy area, perfect for abdominal workouts, stretching, kettlebell and bodyweight exercises. 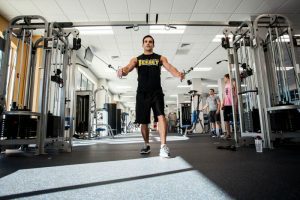 Students as well as faculty and staff members MUST swipe a valid TCNJ ID to enter the Fitness Center at Campus Town and also present the ID to the desk worker. For the safety of our students and members NO ONE will be able to access the Fitness Center at Campus Town without proper ID. Enrolled College students at non-TCNJ colleges are eligible to purchase memberships to the Fitness Center at Campus Town. This membership is not for TCNJ students, but for those that are part of the Campus Town Summer Internship Program, or those that are home for summer break. The only current payment option is a check made out to “TCNJ Fitness Center” which is to be delivered to the Fitness Center at Campus Town. To purchase a membership please fill out the Campus Town Summer-Student Intern Membership Form. The membership fee will provide use of the fitness center equipment and the locker room facilities, which include daily use lockers. The summer membership will follow the campus summer schedule and provide access 6:30am to 1:00pm & 3:30pm to 8:00pm Monday through Friday, except the Energy Fridays where the campus is closed and no weekend offerings. 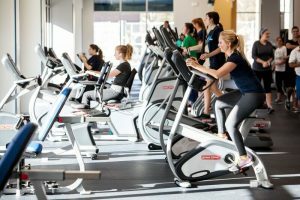 The College of New Jersey faculty and staff are eligible to purchase memberships to the Fitness Center at Campus Town. There are two payment options: payroll deduction, or Get It Card points. To purchase a membership please fill out the Fitness Center Membership Form. We offer a One Day Trial Pass to faculty and staff who have an interest in purchasing a membership to the Fitness Center. If you are interested in this option please print out and complete the One Day Pass and bring that with your TCNJ ID to the Fitness Center front desk to gain access. Our free weight and dumbbell area includes a full range of completely rubber encased Ivanko dumbbells (5 to 120 lbs.) and rubberized plates from 2.5 to 45 lbs. We provide a full range of cardiovascular equipment, including elliptical trainers, treadmills, steppers, and upright and recumbent bikes. The resistance training equipment offers a full body circuit, auxiliary machines to strengthen your less dominant muscles, a counterbalanced smith machine and three adjustable column cable crossovers. The synergy area provides open space, mats, medicine balls, a fitness ladder, resistance bands and S-Drive performance trainer. This area is perfect for abdominal exercises and dynamic movements. Ask a desk attendant in person or over the phone at 609-771-2014.